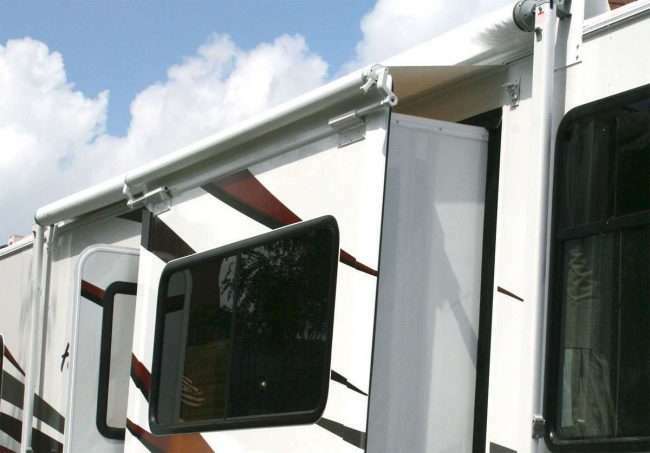 Sun Wave Slide-Out cover fabric is as strong and durable as our patio awning fabric. Sun Wave, Slide-Out covers will fit any Dometic (A&E) and Carefree slide topper without a metal cover. The fabric is 16oz, 1000 denier strength and is white in color. The poly cord size is 1/4″ at the rail and 1/8″ at the tube. The poly cord is heat welded to give a stronger hold on the poly cord. The heat welded poly cord also resists tearing and ripping of fabric at top and bottom, along with protecting from leaking in stitching lines. Fabric extension is 48″. Our Slide-Out Cover fabric is available in several sizes, and if you do not see the size you need just order the next largest size, because you can customize the fabric yourself by cutting them to the actual size you need. 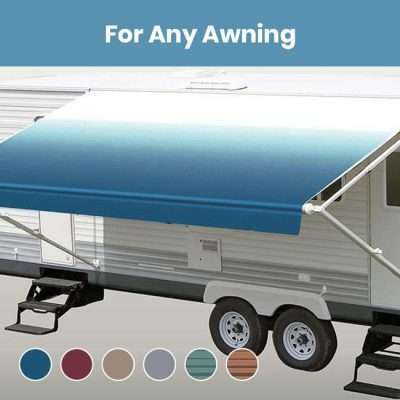 Don’t forget your Awning Sun Shade for added privacy.